As the Junior School Certificate and equivalent exams are under way since Nov 1, several rings are active online with the enticement of leaked question papers. Young students are being lured through Facebook and Whatsapp. However, the ministry of education says there’s no chance for question papers to be leaked. In Whatsapp, enticements of question papers before the exam are being made from 01771773720. The authority took some firm steps after several question paper leaks last year. Several people were also arrested by law enforcers. 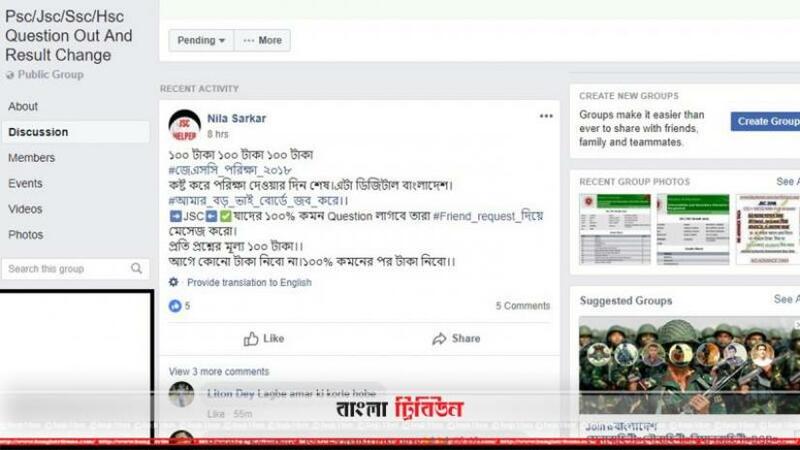 This year, the question paper of ‘Gha’ unit of Dhaka University was leaked and the authority ordered a re-taking of the exam.